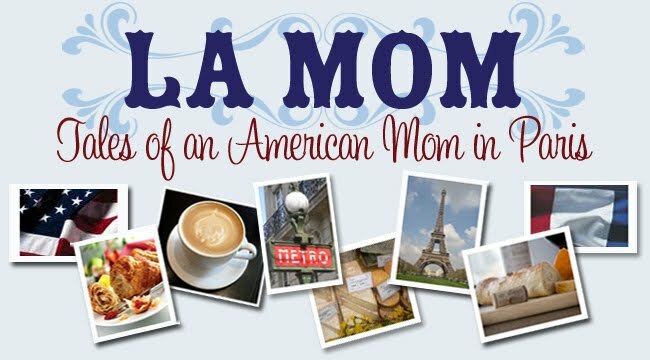 La Mom - an American mom in Paris: Flappy Easter! Sometimes La Mom's life resembles a David Sedaris short story. Especially around the holidays. The French Fries inevitably get into some deep philosophical discussion – about who's bringing the goodies. And this Easter was no exception. Small Fry: How many sleeps until Easter? Big Fry: Trois! Then the Easter Bunny will bring us chocolate! Small Fry: It's not a bunny, it's a bell from Rome. Big Fry (incredulously): How can a bell bring chocolate? It doesn't have feet! Small Fry: It flaps with its wings! Madame La Cloche flaps and flaps from her belltower. Big Fry (rejecting this preposturous idea): Non. The bell turns itself upside down and puts chocolate inside. Then the bunny puts it in a basket and carries it in its mouth and hops to our house. C'est comme ça. Small Fry (nodding): Yeah, the bunny and the bell. If you don't OD on chocolate, why not try making Easter cupcakes? Check out Sugar Daze's delicious recipe in this Disney video! thank you for your recipe ! @Anonymous Thanks for the grammar tip. Corrected. And this is exactly why my kids will cringe in a few years when I speak French in public. Lots of very good reading here, many thanks! I was researching on yahoo when I discovered your article, I’m going to add your feed to Google Reader, I look forward to additional from you.